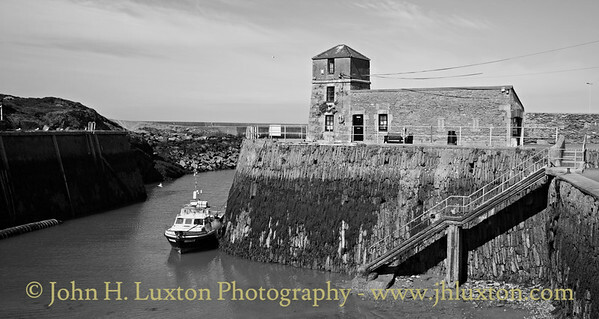 The Watch House which was once located at the entrance to the Harbour before it was extended seawards. Built in 1853, the three-storey lighthouse and watchtower has an attached single-storey range to the east. They are built of rubble masonry with limestone dressings and slate roofs. The lighthouse and watchtower has battered walls and a hipped roof. The lower two storeys have exposed stonework including large limestone quoins at angles and above the second storey is a slightly advanced string course above which the elevations are rendered. The windows are six-pane casements, one to each storey of the south elevation, and a single upper storey window at the west end of the north elevation (facing out to sea). 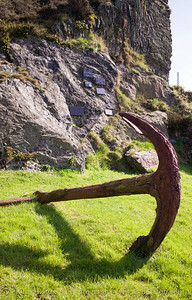 It is listed as good, well-preserved, mid nineteenth century lighthouse and watchtower which retains original character. 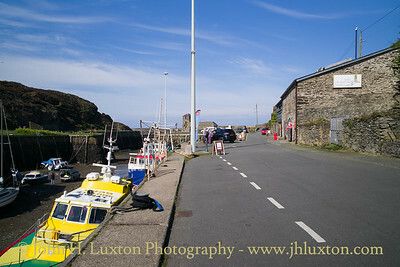 The small enclosing pier which created a harbour of refuge was built in 1816. 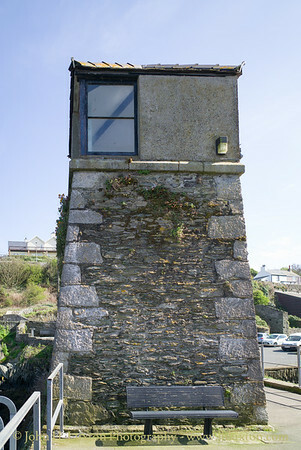 The original lighthouse, which the present structure replaces, was built in 1817 and had a fixed bright light. 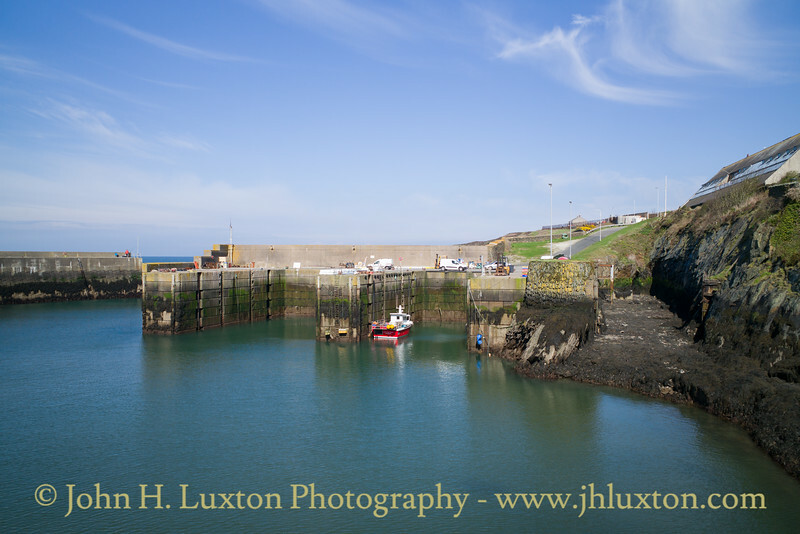 The Watchhouse was used by the hobblers (rowing boats and their crews) which were responsible for towing vessels in and out of harbour. 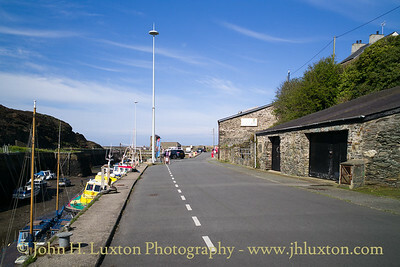 The Quayside with the Amlwch Heritage centre on the right. The gated compound is one of the former ore storage bins associated with the export of copper ore from the Parys Mountain Mine nearby. 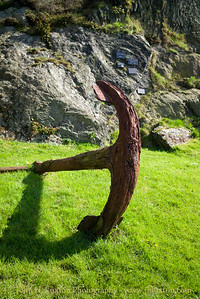 Old anchor displayed at Amlwch Harbour. 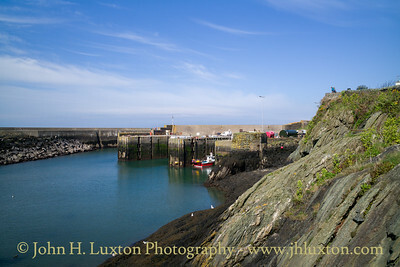 View towards the Tug pens constructed as part of the Amlwch Marine terminal project. This involved a single point mooring buoy being provided off shore from which very large crude carrier tankers could discharge their cargoes for conveyance by pipeline to the Stanlow Oil Terminal. The terminal opened in the early 1970s but was out of use by 1990. The pens are now used by the Liverpool Pilotage Service and local fishing vessels. View towards the Tug pens constructed as part of the Amlwch Marine terminal project. This involved a single point mooring buoy being provided off shore from which very large crude carrier tankers could discharge their cargoes for conveyance by pipeline to the Stanlow Oil Terminal. The terminal opened in the early 1970s but was out of use by 1990. 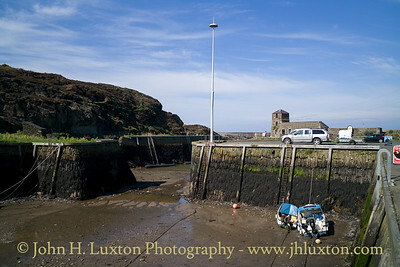 To the right of the tug pens can be seen the former Amlwch dry dock. 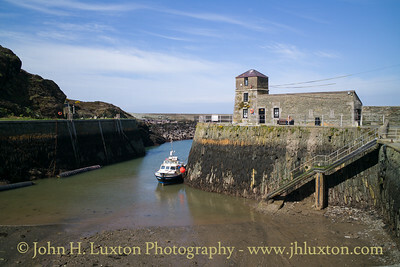 Above this is the former Amlwch Marine Terminal building.